Artscape Theatre Centre was alive with activity, welcoming the German Federal President’s Cultural delegation to Artscape. The visit to Artscape by the Cultural delegation, coincided with the German Federal President’s state visit to Cape Town in fostering relationships between the two nations. It was the first official visit by a German president to South Africa in over 20 years, by the then Federal President, Roman Herzog. The special by-delegation, arrived at Artscape, welcomed by Artscape CEO, Marlene le Roux. 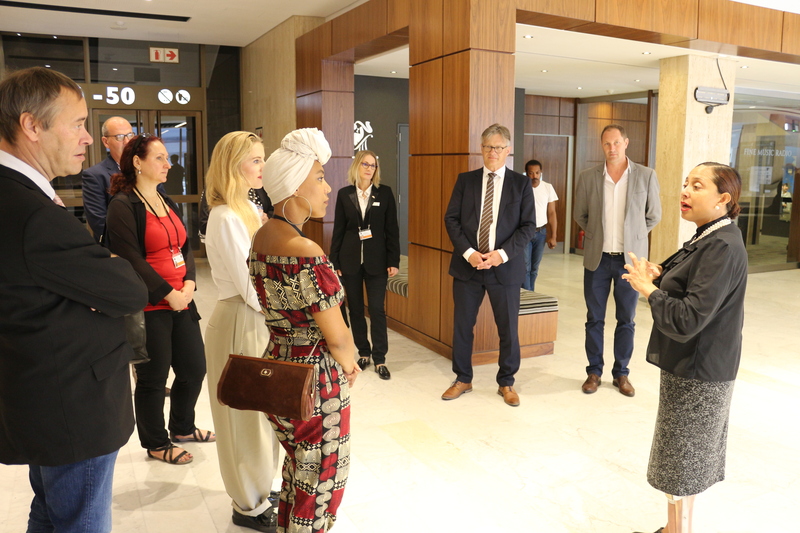 The delegation were escorted by le Roux, taking the guests on a guided tour of the newly renovated, world-class theatre. The guests were then treated to a variety of performances, the first by Jazzart Contemporary Dance Company in the Opera Bar. The company, housed at Artscape Theatre Centre, uses dance as a transformative tool within the flexible pathways connecting rural and urban settings. Their training and outreach programmes provides creative arts intervention and training to 300 000 young people each year. From the spellbinding performance by the contemporary dancers, guests were ushered into the Opera Bar theatre, to be entertained by the Cape Town City Ballet, with a performance of Tchaikovsky’s Swan Lake. The Cape Town City Ballet, is renowned throughout South Africa and internationally for the diversity of works in the repertoire and the dancers for their inimitable energy and style – characteristics that stamp the company as uniquely South African. The Cape Town City Ballet has a long-standing practice of developing South African choreographic talent. To the delight of the delegation, the Cape Town Opera chorus, performed a duo of repertoires including the well-known O Fortuna, to a roaring applause. 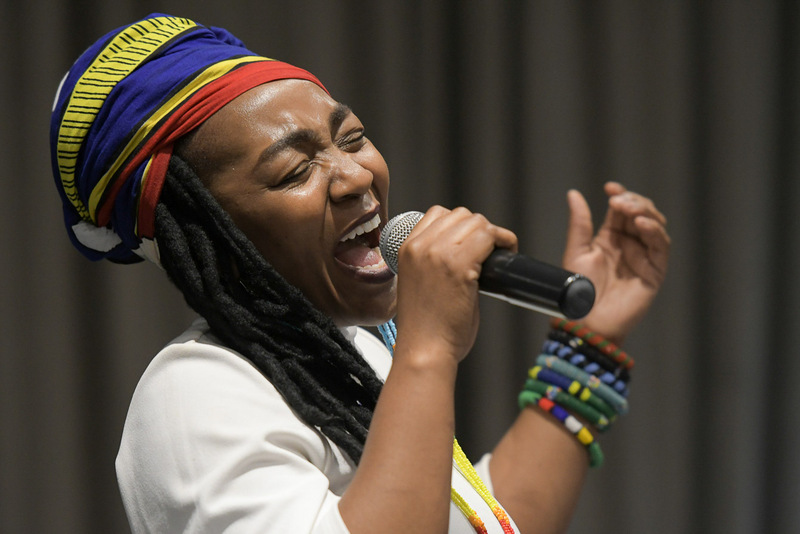 A solo music performance, by singer Linomtha Linoh, brought the much anticipated African flair, to round off the entertainment. 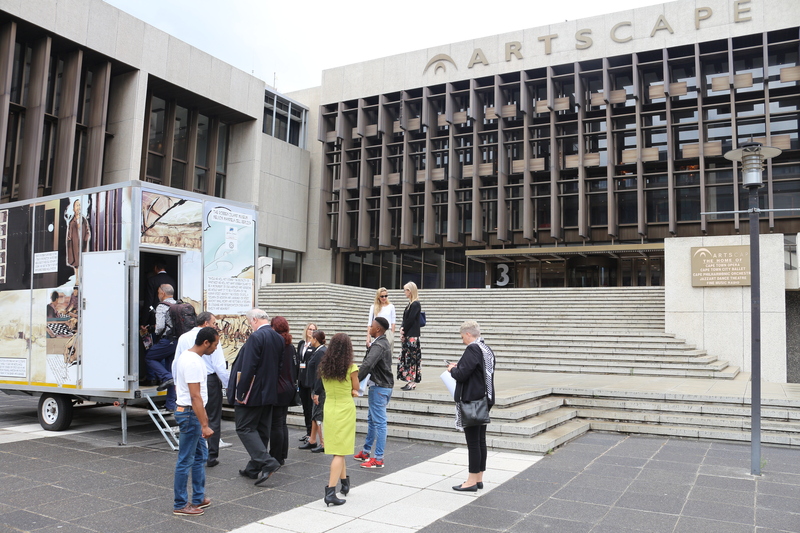 CEO of Artscape Theatre Centre, Marlene Le Roux, officially welcomed the delegation, staff, media and performers to Artscape, emphasising the importance of the visit by the delegation. Le Roux elaborated on showcasing Artscape‘s national leading role as a platform for the performing arts, illustrating Artscape’s intense current exchanges with Europe; informing the visitors on the specific social and inclusive dimension of Artscape and associated companies’ work, creating for underprivileged youth both an access to performing arts, and opportunities in skills development within the Arts. 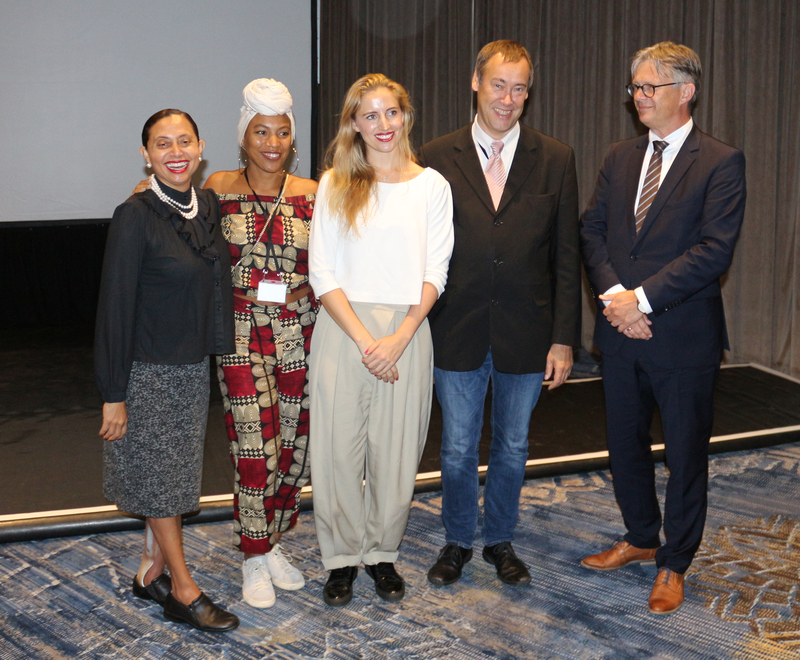 German Consul General, Matthias Hansen, introduced the German delegates: Ms Jessica Nupen, choreographer and dancer, Ms Thandi Sebe, author, actor and filmmaker, and Mr Thomas Krüger, Head of the Federal Office for political education, who all shared their stories and gratitude to Artscape for the opportunity to visit the cultural institution and learn about pioneering work Artscape and the in-house companies employ, to drive and develop the arts in South Africa. The delegates then visited the Nelson Mandela Robben Island cell exhibit, currently housed at Artscape; a replica of the cell which was home to former state president Nelson Mandela while incarcerated on Robben Island, a sobering reminder of how far we have come as a country, in our effort to further build our nation and promote freedom and access for all. Upon departure, the delegates understood the essence and importance of what Artscape stands for – promoting the arts and inclusive programmes of artistic education and development, which lead to positive changes in the creation of a rich cultural and artistic community for generations to come. Artscape is proud to be a benchmark on this international visit, advocating diversity, inclusivity and accessibility to the arts.